New Features Coming to Hearthstone! Hearthstone’s upcoming update has a lot of cool stuff in it, but we wanted to call special attention to a couple of features that we’re particularly excited about. We think you’ll like them too! 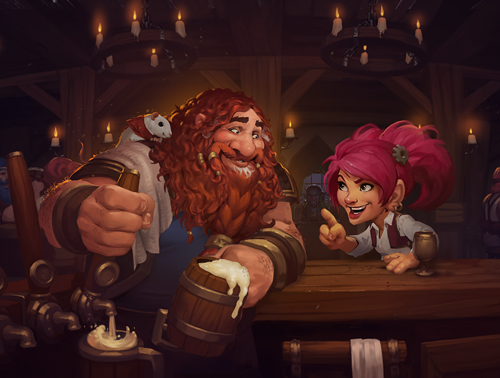 When the new Hearthstone update arrives, you’ll be able to complete quests in Friendly Challenges! Just issue a Friendly Challenge to someone on your Friends list and rack up credit for nearly any quest you can receive. Last year, the Friendly Feud allowed players to complete quests when they played with a friend. You gave us a ton of positive feedback about that event, and a lot of you asked us to have Friendly Feuds more often. We thought that was a good idea, so we took it a step further! There are some minor caveats. For example, any quests that can’t be completed as part of a Friendly Challenge aren’t eligible, such as those that require you to play vs The Innkeeper or watch a match. Most everything else is fair game though, so now you’ll have a reason to make friends with a recent opponent that isn’t just to send them a compliment. You’ll soon be able to easily copy and share decklists with Deck Importing! No more screen shotting decklists, or staring at a web page as you carefully build a deck, card by card. Trying—and sharing—a new decklist will be as simple as copy and paste! 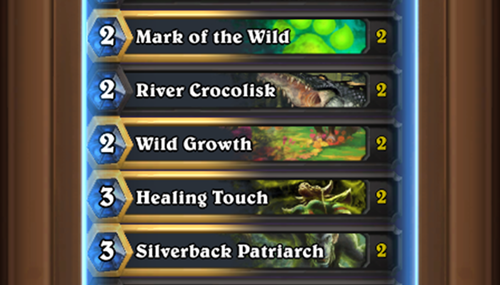 Click to view sample decklist. See that conveniently highlighted ‘code’ near the bottom? 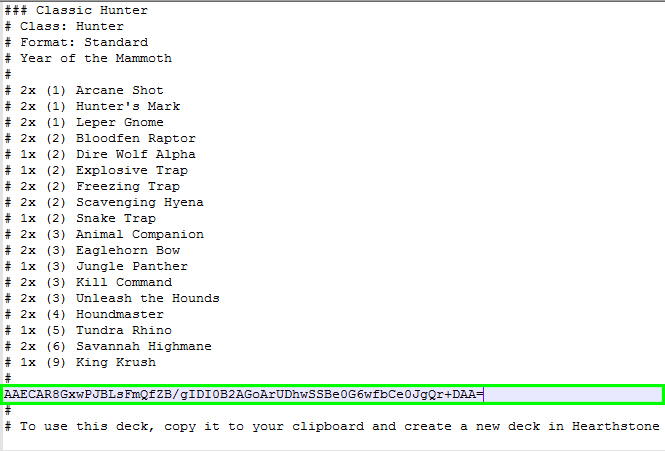 That code also works on its own, making it easier to share a decklist with friends in chat or social media. Importing a decklist is easy. When you go to create the new deck, Hearthstone will “know” when you’ve got a valid decklist on your clipboard, so you’ll be asked if you’d like to create a new deck with the one you’ve got copied. Then you can watch your new deck be built before your eyes. You can also import decklists to Tavern Brawls! Don’t have all the cards a deck requires? No worries! In that case, it works just like a deck recipe. Any cards you don’t already own will appear insubstantial and you can select them for suggested replacements. You might also notice that your golden and non-golden cards now stack in decklists too! Deck Importing is great for finding and sharing new decks, but it’s also helpful for managing your library of decks. Save the code for decklists you rarely use, and when you’re ready to play one again, just copy and import it. The new update including these features will arrive in the coming weeks. We’re super excited about them, and we can’t wait to hear what you think! * Desktop users can use ctrl+c to copy a decklist (you’ll get a confirmation when your copy is successful), then ctrl+v when viewing My Decks to import a decklist.